Once upon a time on an Island far far away there lived a few hundred people who spent their days fishing, growing fruit spending their evenings drinking Tequila and enjoying the music of the Mariachi band………..El Locos. There were white sandy beaches where people would frolic naked in the deep blue water and occasionally, just occasionally a tourist would venture to this paradise to stay in the only hotel on the island Las Motelo Sixo.One day a young man called Jose A was fishing with his brother from their small boat. It was a beautiful day, the sun was sitting high in the sky radiating the crystal sea. Jose A had already caught enough fish for supper that night and was just thinking about rowing back to shore when he saw something on the horizon. At first he thought his eyes were playing tricks on him and he cupped his hand over them to get a better look……………..no………….there was something there. Jose A watched as the object got closer. It was huge………..white and shining…………..he could not believe his eyes ………….it was a ship………a huge white ship and it was heading straight for them. Jose A, woke his brother Jose B who had been enjoying a siesta at the back of the boat oblivious to the fact that while he had been asleep Jose had slipped a crab down his shorts……………he had been dreaming about his senjorita but awoke now in both shock and pain as Carlos the Crab tried to become friends with his nachos ……………….. owwwwwwwwwo…………screamed Jose B……………”nevero mindo thato ” said Jose A……….looko at thato.” he said with disbelief in his voice. Jose B looked at the huge ship that was getting ever closer and immediately forgot the fact that Colin the Crab having finished nibbling at the nachos was now moving on to his burrito. Both brothers stood in their small boat and watched…………as the massive vessel got closer they began to hear music, people’s voices and the sound of laughter. The ship was now in full view and sailed directly passed them. They marveled at the sight of hundreds of Gringos dancing, eating and having fun. Jose A and Jose B rowed back as quickly as they could to their seaside hut to tell the rest of the family what they had seen…………..a ship called the El Mardi Gras was heading to their small insignificant island…………….little did they know that their beautiful home of Cozumel would never be the same. In 1987 I arrived in Cozumel as a bar waiter onboard the M/S Holiday. My early recollection of the island was a few shops, maybe a dozen or so, unspoiled beaches and one or two nightclubs and restaurants where you could buy a 2 lb lobster dinner for $10 and a bottle of Corona beer was the same price as a rap singer ……………………………………..50 cents. Over the years I watched Cozumel change before my eyes. The dozen or so shops became 200 or 300 shops some even located in an American style shopping mall. The local restaurants gave way to McDonald’s, Kentucky Fried Chicken and Pizza Hut and the bars gave way to Carlos and Charlies and a Hard Rock Cafe serving drinks and food. 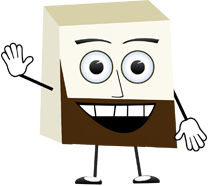 Still, who am I to mock the march of progress? 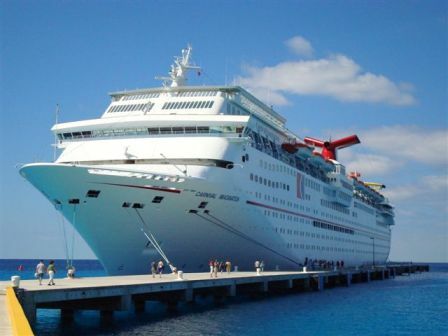 I understand the island like so many have reacted to the need of the cruise ship consumer and the millions of dollars they bring ashore each and every year. 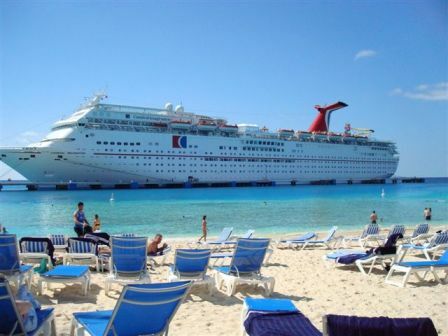 It was therefore that today I was really looking forward to seeing a new addition to our ports of call…………….Grand Turk……………and as soon as I went ashore there were reminders of the Cozumel of old. 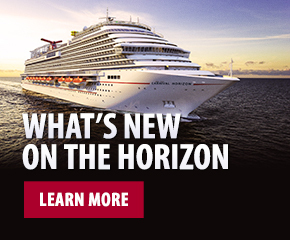 Before we discuss that however let’s remind ourselves that it is once again thanks to a huge investment from Carnival Corporation that we have this new and exciting place to visit, with Carnival and other ships calling at this island paradise. 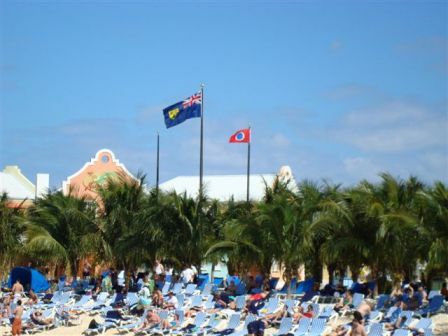 The ships dock, no tendering here and as you walk of the vessel the British Union Jack and the Grand Turk flag flutter in the wind standing guard over the flag in the middle spot………….the Carnival flag. Walking through a shopping area you immediately notice something that reminded me of the old days. Yes, there were modern shops selling jewelry and clothing but there were no young men outside telling you aggressively to come inside and that everything is nearly free. These people are called “barkers” and are now a part of life in Cozumel, St. Maarten and many other places. If one more “barker” in Cozumel tells me “we have T-shirts your size big man” I will introduce Pepe to my big show which he will find hanging from El Buttocks. Here in Grand Turk there were none of these……no barkers …………..just a dozen or so shops quietly selling their products just as it should be. Right next to the ship is a beautiful stunning beach. 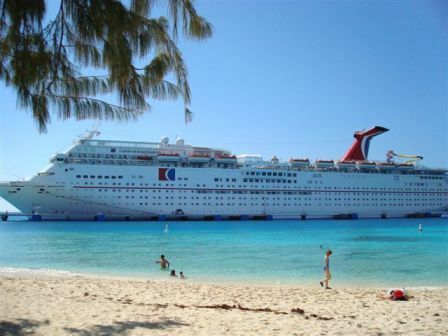 It has gorgeous clear water and there must have been 1,000 sun beds ready for the Carnival Imagination guests to turn into George Hamilton. Heidi and I walked along the beach and marveled at what was missing ………… nobody asking to braid your hair…………nobody selling you anything ………just, peace and quiet. I tried so hard to look for a piece of garbage…………….nothing……………uniformed workmen were there making sure that remained so. Many guests had taken the chance to go snorkeling, swim with stingrays and enjoy a tour as we did around the island. 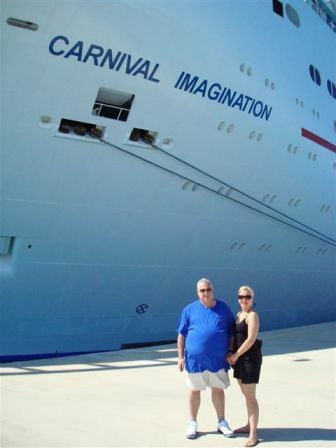 Carnival has an extensive shore excursion program here and the reports from the guests I spoke to were that the snorkeling was some of the very best they had ever done……..anywhere. Downtown is about 10 minutes from where the ship docks and most guests take the island hopper bus tour as we did and then return to that beautiful beach. The locals have that wonderful charm and island easiness about them. This charm has somewhat disappeared from many ports of call, a cruise ship calling is a regular occurrence and somewhat taken for granted ………………not here in Grand Turk …………..its a big thing and the people are making sure that their happy and easy going hospitality is something that will have the guests wanting to return again and again. Now, there is one small interruption to this peace and tranquility and it comes in the shape of something called Margaritaville. For those who have seen the ones that are dotted all over the Caribbean you will know that they provide loud music, good food and this one has a huge pool which is also complimentary to use. 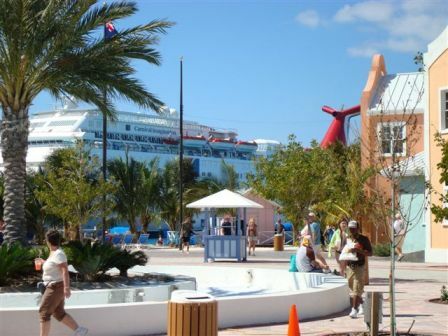 However, that’s it……………the area around the ship and the downtown area is how it used to be in Cozumel, St.Thomas and so many more islands. I hope they hold out as long as they can and keep the place just as it is…………………..perfect. 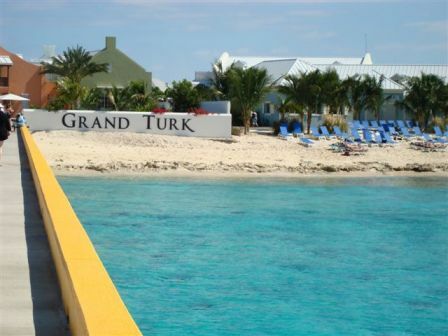 So, Grand Turk is now experiencing the cruise ship guest for themselves. 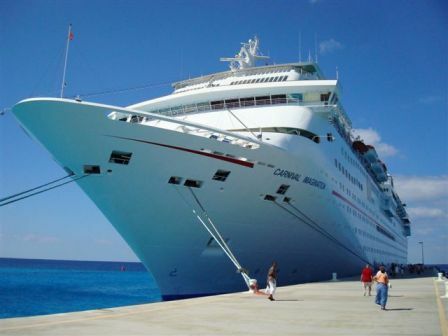 Congratulations to Grand Turk and congratulations to Carnival for introducing this new and stunning addition to us all. I wonder what it will be like in 15 years time? Oh, by the way Jose A and Jose B quit the fishing trade after seeing the Mardeeee Grasssss arrive in port. They now own a chain of shops selling silver which magically turns from silver to green in just one week.